The shackles were off. 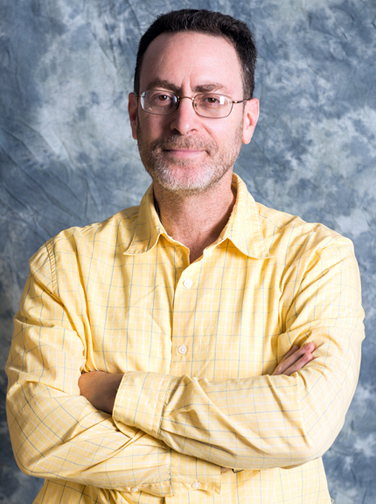 Editor Murray Boltinoff, no longer under Jack Schiff’s guidance, was free to create his own books and one of his first efforts has endured. Arnold Drake, Bob Haney, and Brno Premiani gave him a team of misfits led by a man in a wheelchair that, unfortunately, were eclipsed by Marvel’s version. 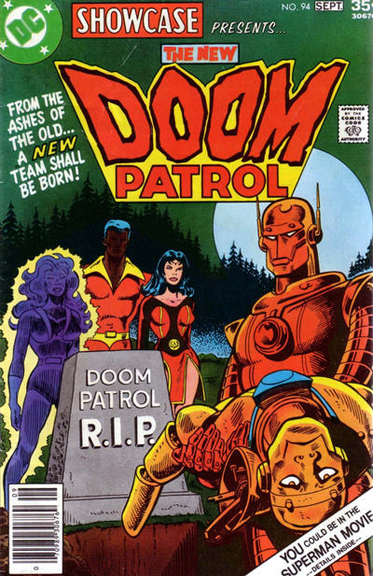 The Doom Patrol sacrificed themselves, in their final issue, a heroic act to save the inhabitants of a small fishing village. Their story was seemingly over. Until a decade later. The team was revived with a mix of new and old members and made numerous appearances before a full-blown reboot in the mid-1980s. Kupperberg loved them so much he used them as guest stars in whatever he was writing and then had an ongoing to play with. 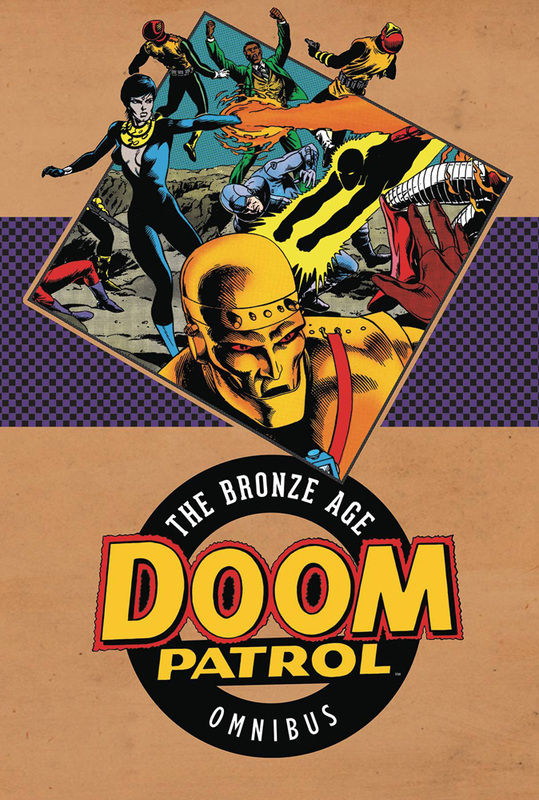 Those stories are being collected by DC Comics in Doom Patrol: The Bronze Age Omnibus. This collects Showcase #94-96, DC Comics Presents #52, Daring New Adventures of Supergirl #7-9, Secret Origins Annual #1, Doom Patrol #1-18, Doom Patrol/Suicide Squad Special #1, Superman #20, Doom Patrol Annual #1 and stories from Superman Family#191-193. The revival featured art by Steve Lightle through issue #5 then newcomer Erik Larsen took over for a stretch, including the DP/SS Special, before Graham Nolan wrapped things up before the Grant Morrison/Richard Case reboot. 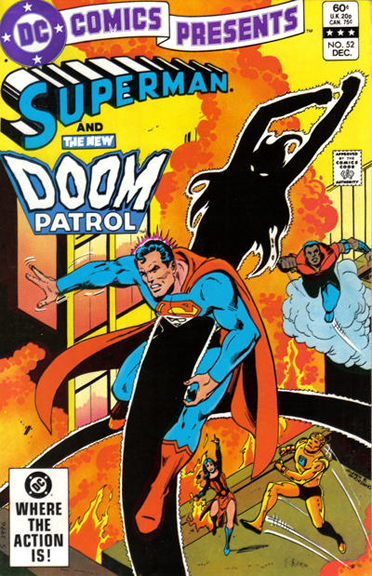 John Byrne arranged a crossover with his run of Superman and illustrated the origin tale. There’s a wonderful variety of visual talent here so the book will be far from boring. But it all began with a 1977 assignment. According to Kupperberg, who went from reader, to fanzine writer, to comic book writer, “They came about the way most assignments did in 1977: an editor offered it to me. In this case, the editor was Paul Levitz, a fellow former fan and friend since junior high school in Brooklyn. Somewhere in the DC hierarchy it had been decided to revive the Showcase title, which ended its fourteen-year run in 1970 after serving as the incubator for the Silver Age of Comics by introducing characters like The Flash, Challengers of the Unknown, Adam Strange, Green Lantern, The Atom, Metal Men, The Teen Titans, and others. 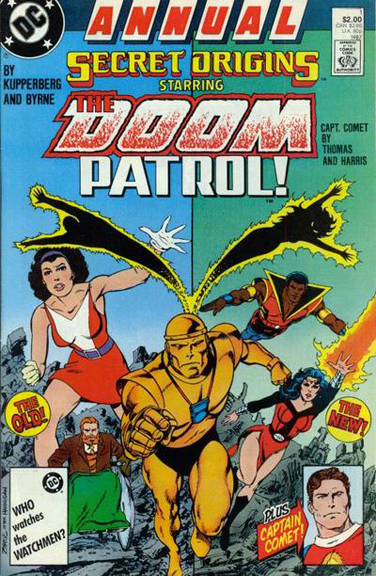 “They had also decided that it could relaunch with a revival of the cancelled and defunct Doom Patrol. Their comic had been cancelled. 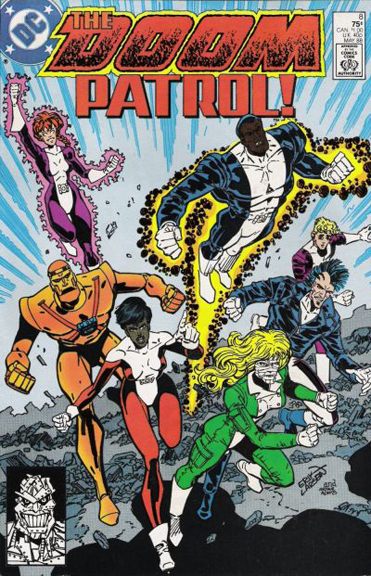 The members of the Doom Patrol were defunct. Literally. Once he had the assignment, he needed to create the team, knowing that someone as wily as Niles Caulder, the Chief, would find a way to survive.And of course, Cliff Steele’s brain might have also survived and could be place in a new robot. Then a variation on a theme, gender swapping the host for the negative energy being that once inhabited Larry Trainor. Finally, brand new freaks needed to added. 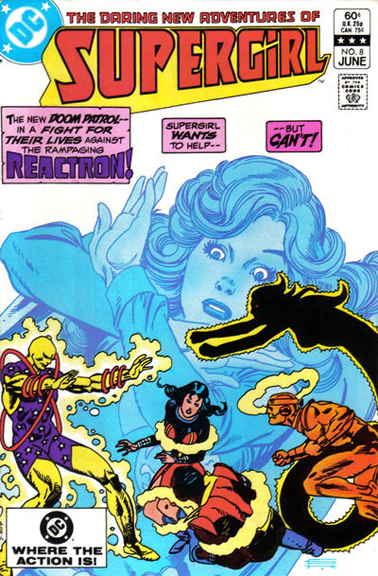 Once assembled, the book needed an artist and Levitz selected his All-Star Comics partner, Joe Staton. For Kupperberg it was “sheer luck. For me, that is. I knew Joe’s work from his early days at Charlton Comics, where I also got my start, and from his subsequent stuff for Marvel and then DC. I was also a fan, especially of his E-Man book for Charlton, several issues of which I got to dialog when the title was published by First Comics. As I remember, Joe had been recruited to DC by Paul. Whatever the circumstances, I’ll always consider the New Doom Patrol as the start of a beautiful creative friendship; we’ve worked together in every decade since on projects for a variety of publishers and clients on dozens of stories. The 800+ page mammoth volume will also include a treasure trove of unseen material including the 1985 ongoing proposal, an unpublished 22-page fill-in story pencilled by Rick Stasi, New Teen Titans #13-15 (where Marv Wolfman also added to the DP lore), and Teen Titans Spotlight #9 (tentative); and, unpublished promotional art.